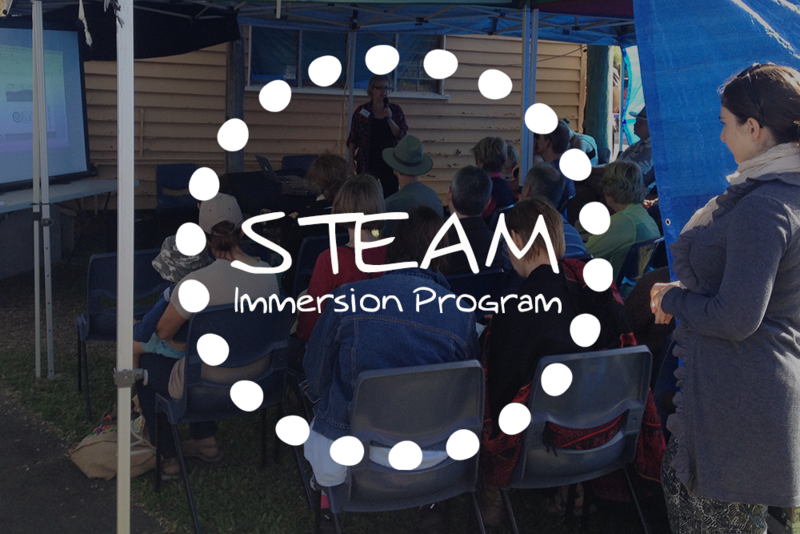 Samford Commons has identified its STEAM Immersion Program as a flagship program to give life to a working model of sustainable living, working, learning and playing which highlights the capacities and aspirations of indigenous young people living in a multicultural environment. Build the capacity of indigenous, non-indigenous and international students from rural, remote and urban secondary schools to co-educate each other toward cultural, emotional and intellectual understandings and capacities. Build knowledge and capability within Science, Technology, Engineering, the Arts and Mathematics (STEAM) while embracing the concepts of culture, leadership and innovation. Build the capacity of youths to be meaningfully engaged in work, study and training. 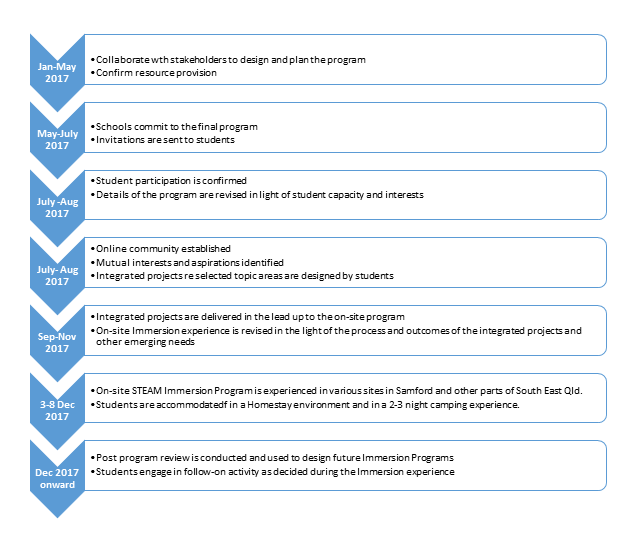 Specific elements of the program – science, technology, engineering, arts, mathematics, culture, innovation and leadership – are being co-created by current partnering schools which have strong engagement with indigenous, non-indigenous and international school students. Future partnering schools, organisations and people with appropriate expertise will continue this co-creation. Samford Commons will be the lead agency, working in collaboration with anchor school Mitchelton State High, at least 5 other schools and indigenous leaders (existing and emerging). It is expected that relevant government agencies and key contributing organisations such as the Department of Aboriginal and Torres Strait Islander Partnerships, Reconciliation Queensland, Office of the State Scientist, Education Queensland, service clubs and universities will be engaged in the management and resourcing of the program. This is an innovate project and open to new ideas and to help from others – anything from sponsorship to program involvement to documenting events, filming or evaluating the program…. and more. If you would like to know more or participate or help in some way then please contact us.